A fluffy little bird is lost – but don’t call the RSPCA just yet. It’s way more fun to hunt for him in here. 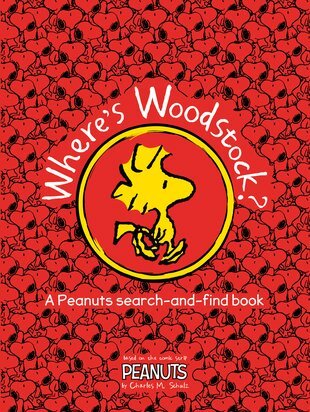 An entire book of picture puzzles and activity fun with tiny bird Woodstock and the Peanuts crew. Where is Woodstock? How can something this yellow and cute be lost? Well, maybe he’s just hiding for a game. Your part in the game? To find him – plus loads of other cool things. Search for the Great Pumpkin. Travel to space. Twist your brain with eye-popping patterns. Giggle for hours with all the Peanuts buddies.